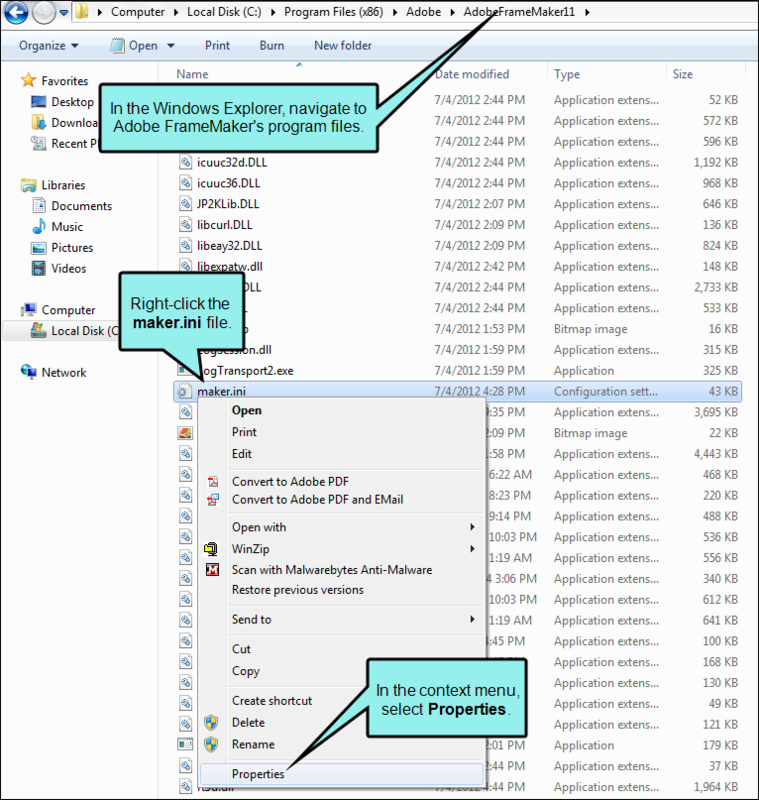 Following are issues that may occur when working with Flare and Adobe FrameMaker. This can be due to Microsoft Windows 7 and its use of (User Account Control) UAC.The settings will not allow you to edit INI files, even though you are set as local administrator. 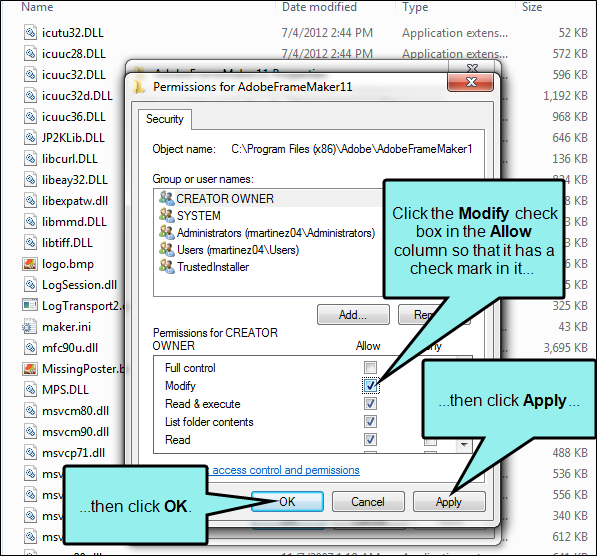 Perform the following steps in order to allow Flare to write to the INI file and import the Adobe FrameMaker file. 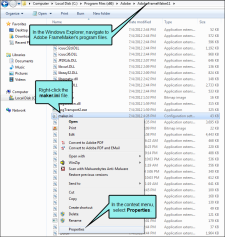 Right-click on the file and from the context menu select Properties. The Properties dialog opens. In the Allow column, click the check box next to Modify. 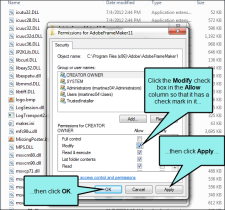 Open Flare and Import the Adobe FrameMaker file. If you cannot edit the maker.ini file due to security restrictions, you might want to contact your system administrator in order to obtain the permissions necessary to access that file.